*Please note: Rice should be soaked for 3-5 days. Change the water twice a day. 1. To prepare the dressing; place dates, 3 tbsps braggs, lemon juice, flax oil in a blender and process until creamy. Add up to 2 tbsps of the remaining braggs to taste. 2. 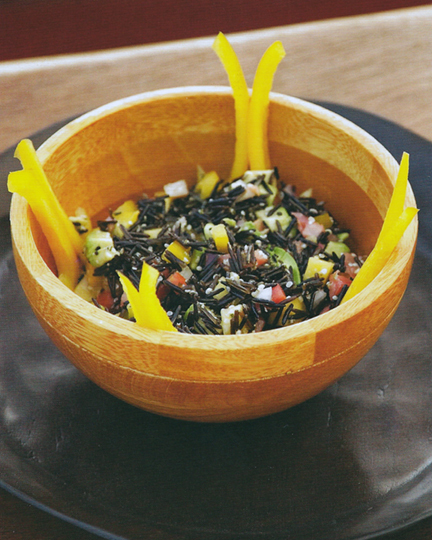 In a large bowl, combine sprouted rice, avocado, bell pepper, onion, tomato, mango and hemp. Add dressing and toss well. Garnish and serve.